If you work your way through the vCSHB Reference Guide you’ll have covered every objective in the VCAP-DCA blueprint, so that’s where I’d recommend you start. If you have time, view the VMworld sessions for a bit of background and reinforcement. I went into a bit more detail on this objective as it’s something I wanted to evaluate for my company, so there’s some ‘real world’ issues covered which I doubt you’ll need for the exam. vSphere Client – not sure why this is listed as vCSHB isn’t integrated into the VI client…. Julian Wood on why vCSHB isn’t an ideal solution (about half way down the post). vCenter Server Heartbeat (vCSHB) is a business continuity product which aims to increase availability for vCentre, increasingly a crucial piece of the infrastructure puzzle. You can download a 60 day evaluation copy from VMware to play with in your lab. Under the hood this is a customised version of Neverfail, an availability product that’s been around for years. 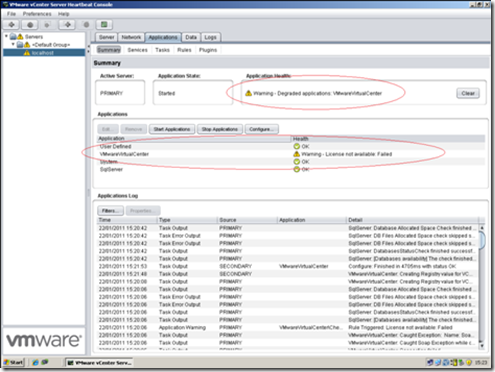 It works by having two copies of vCentre with one active and one ‘passive’ and then monitoring (at various levels) to ensure the primary is working as expected. Previously some people have run vCentre in a Microsoft cluster but this is no longer (was it ever?) supported (VMware KB1014414). If vCentre is virtual you can benefit from VMware HA but that only covers ESX host failures. NOTE: vCSHB doesn’t support Oracle databases. If the Oracle database resides on a separate server you can use vCSHB to protect vCentre and use Oracle resilience features for the DB. NOTE: vCSHB doesn’t support clustered SQL. If you’re using application resilience you have no need of vCSHB (you can use app features such as log shipping for DR). Network – pings network locations (default gateway, DNS server and Global Catalog (default every 10 seconds) to determine isolation. Data – can protect a local or remote SQL instance. NOTE: This doesn’t protect against data corruption – that’s still replicated (corrupted) to the mirror site but most replication technologies (except Oracle’s Dataguard) accept the same limitations. Integrates with DNS to handle the IP address change from active to passive. See VMware KB1008571 (Microsoft DNS) or VMwareKB1008605 (BIND). Requires a file filter exclusion when using Orchestrator. See vCSHB Reference Guide. V2V (both virtual). Use vCentre cloning to create the secondary server. Recommended to use separate ESX hosts and separate vSwitches for resilience (but neither are enforced). P2V (Primary physical, secondary virtual). Use P2V tools such as VMware Converter. P2P (both physical)– use the vCSHB installation routine to clone the physical server (uses NTBackup) or you can use third party tools such as Platespin etc. NOTE: Drive letters and ACPI compliance must match for this configuration. Failover = a mitigation action due to an unplanned outage. Licencing vCSHB seems rather confusing. If vCentre is on a separate server to your vCentre DB then do you need a separate vCSHB licence to cover the database server? If the database server is only standby does it need to be fully licenced? Do you need a second vCentre licence plus vCSHB or does the vCSHB purchase cover it? These questions have been asked on the vCSHB forums but the answers seem to vary. As vCSHB doesn’t keep everything on the two servers in sync, some operations (such as applying Windows patches, AV updates etc) have to be duplicated on both servers. This adds to the maintenance and complexity of running vCentre. See VMware KB1010803 for details of how to apply Microsoft patches. What if your SQL server is on a separate server to vCentre, but hosts multiple databases? Does vCSHB protect them all? In WAN mode this could massively increase bandwidth requirements for example as well as causing licencing issues. The vCSHB admin guide states that all protected applications should be installed before installing vCSHB. However that’s contradicted by guidance in VMware KB1014266 which states that SRM should be installed after vCSHB. Services such as Update Manager and Orchestrator are only protected if they run on the same server as vCentre. For many enterprises (who I think are the target market for vCSHB given its cost) this is unlikely to be case. If you’re using vCentre Linked Mode and you want to either join or leave while protected by vCSHB you have to disable vCSHB protection, join/leave, then re-enable vCSHB protection. Full details in VMware KB1022869. What level of protection (vCentre only etc)? Dictated by existing vCentre architecture. NOTE: Exclude vCSHB directories from file level AV scanning (see the vCSHB Reference guide, installation chapter). The exclusions should be made on both active and passive servers. Run separately on the vCentre database server (if it’s separate from vCentre) and again on the vCentre database secondary server. NOTE: For Windows 2008 there is an additional post-installation step to run the vCSHB Setup Completion program. There’s a shortcut on the desktop – double click and follow the prompts. NOTE: The install guide states that the primary configuration data (which is copied to a share on the secondary) can amount to GB’s of date. This is only when choosing a P2P configuration where the application data is also backed up. For a V2V setup the files are tiny – mine were 49KB. After installation the vCSHB servers are replicating but haven’t been given credentials to access vCentre. This causes an error about licencing (shown below). Go to the Applications tab, plug-ins, select and right click on the VirtualCentreNFPlugin.dll, choose Edit. Enter credentials with read access to vCentre. When uninstalling you simply run the uninstall routine on the primary and optionally on the secondary. You can delete the secondary if it’s a VM. One issue to watch for is that both servers have the same NetBIOS name – either remove one server from the network or use the uninstall routine’s option to rename one server. Full instructions can be found in VMware KB1022877. Manage Server. This is the main console used for day to day administration. This is the only tool available if installed on a separate client. Most admin operations can be performed on the primary OR secondary (changes are replicated to the other server). Configuration Wizard. Used when changing server roles, IP addresses or network interfaces. Not needed for day to day administration. Only available on the servers. The tray utility. Provides ‘at a glance’ status along with right mouse button shortcuts. Only available on the servers. Enable split brain avoidance (typically used with WAN setups). Monitoring tab, Configure. 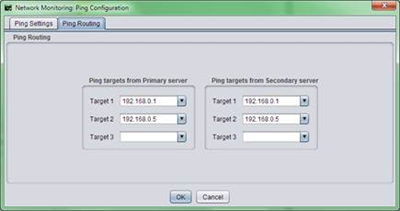 Configure network ping settings. Particularly useful in WAN deployments where the ping targets may be different at the second site. 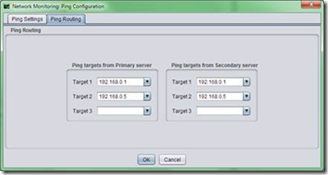 Configure auto switchover if the client network fails (this default to 10 pings but is off by default). You might do this is you want HA to protect vCentre, in which case vCenter would take longer than ten pings to reboot after an ESX host failure. Add/Edit tasks. The available tasks are largely preconfigured and the user can only amend the timing. One example task is updating DNS when used in WAN mode. Another is Protected Service Discovery. Add/Edit Rules. Defined by the active plugins and used to protect performance using predefined metrics. A user can only enable/disable individual checks or configure timeouts and actions. Add/Edit Plugins. Not much to do here. There is a System plugin, vCentre plugin, and SQL plugin (if protecting SQL) by default and editing only offers authentication for vCentre and the option to protect index catalogue files for SQL. Add/Remove Filters. These let you include custom folders (a collection of PowerCLI scripts for instance) which are then replicated to the secondary server. Check replication queue lengths. This should be done prior to a switchover (best practice, in Reference Guide) or to understand WAN bandwidth requirements. Configure details of your SMTP server so email alerts are sent. Can also specify frequency and recipients based on alert level (red, yellow, green). Accepts mail servers which require authentication (unlike vCentre). Setup alerting. This can be email alerts or custom commands. To test simply click the ‘Test Email Alerting’ button. Check vCSHB log files to determine status of both servers. Identify cause of failover. Until all issues are resolved you should NOT try to restart vCSHB. (Optional) Switchover so the primary is active again. As with many high availability solutions, split brain situations can happen. 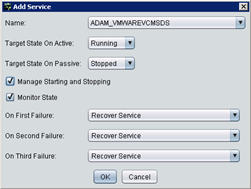 This can occur due to loss of the VMware Channel, power loss, or possibly misconfiguration of vCSHB. Both servers assume they are the active (or passive) server. Data can be lost in this scenario. 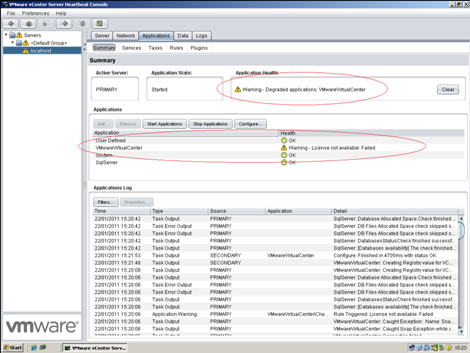 There is a split brain ‘avoidance’ option for vCSHB which lets it use the ‘primary’ network interfaces to test connectivity even if the VMware Channel fails. Enable the option ‘Prevent failover if channel heartbeat is lost but Active server is still visible to other servers (recommended)’ under the Server:Monitoring tab.. Requires additional IP address to be configured on the primary network interfaces. See the vCSHB Reference Guide p118 for full details. To recover vCSHB from a split brain scenario the recommendation is to identify which server is most up to date (by looking at file datestamps) and reconfigure vCSHB to reset the roles. The full procedure is in VMware KB1014405. Part three of Mike Laverick’s vCSHB series also specifically covers split brain. That article covers a known gotcha when using a remote vCentre database with vCSHB (covered by VMware KB1027289). VMware KB1008124 – Retrieving the VMware vCenter Server Heartbeat Logs and other useful information for support purposes. VMware KB1008572 – Troubleshooting vCSHB synchronisation errors. This links to other useful troubleshooting articles. Great post – very well put together. I’ve become very familiar with vCSHB during the past few months and this is post is pretty spot on. The troubleshooting links are helpful too. These two KB articles helped me out also: 1008567 and 1027289. And thank you for linking to my post too! Thanks for reading Paul, and also for those extra KB articles.